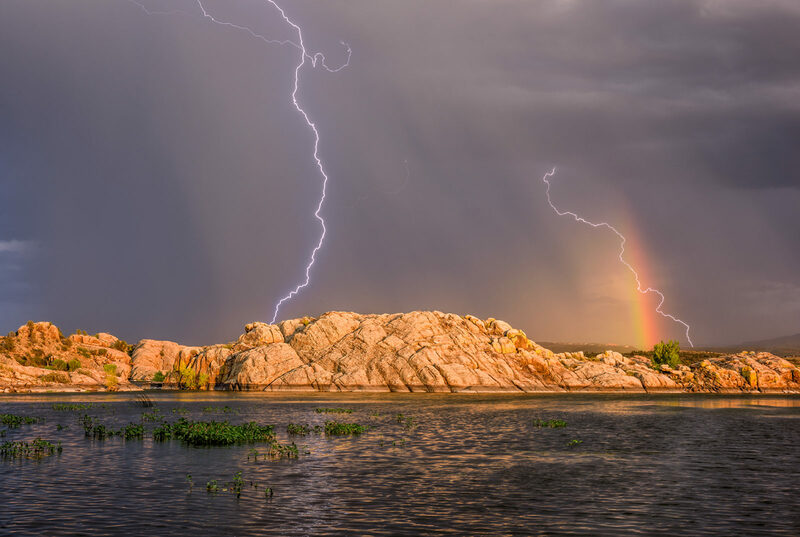 "The Promise:" During a summer evening this year in Prescott, Arizona, I was fortunate enough to capture this dramatic scene over the Granite Dells at Willow Lake. The initial strike was the bolder one on the left, and luckily I was also able to capture a secondary one that appeared to slash right through the partial rainbow on the right almost immediately after. Rainbows have long been a symbol to some people of promises or opportunities to make a wish come true. Whatever you believe when you encounter a rainbow, I can only say that I hope this image brings you a moment of joy.